Divisions of all sorts keep the United Nations from being really united. This prevents them from tackling problems like wars, poverty, abuse, tax fraud and other types of violence in a concerted and effective way. Divisions are generally inspired by political and economic power games. 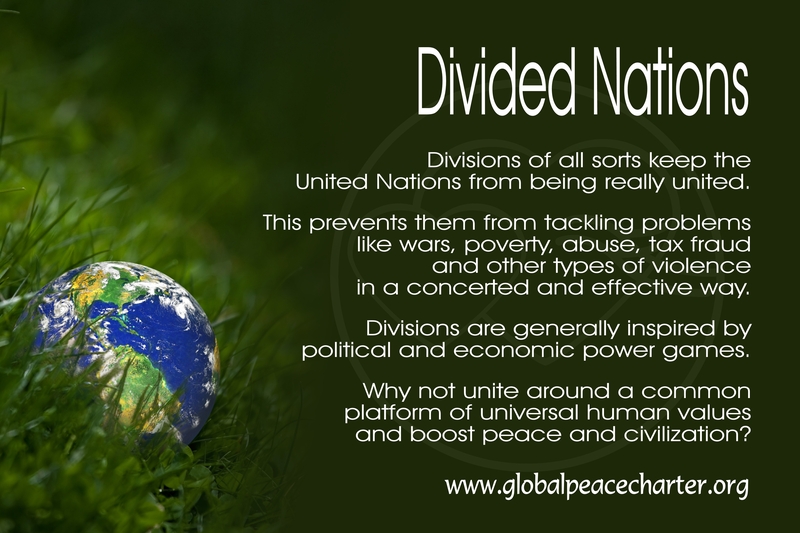 Why not unite around a common platform of universal human values and boost peace and civilization? Related: letter to world leaders.